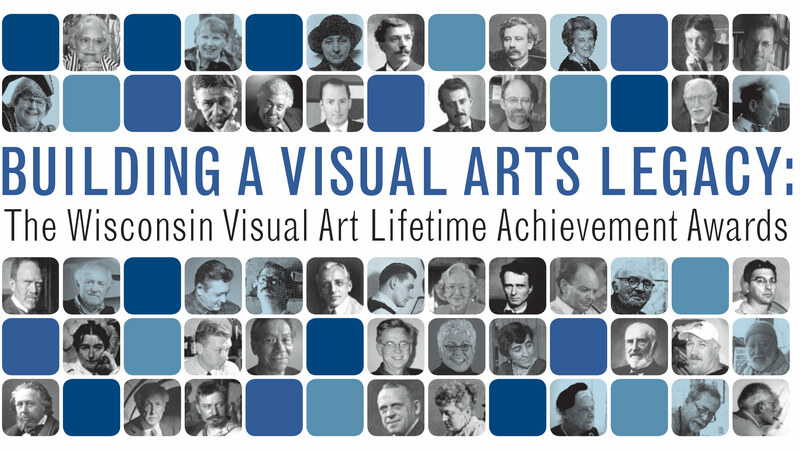 This is the first exhibition devoted to work by artists honored with the Wisconsin Visual Arts Lifetime Achievement Award. This award is the result of a partnership program initiated by the Museum of Wisconsin Art, Wisconsin Painters & Sculptors / Artists in all Media and the Wisconsin Academy of Sciences, Arts and Letters-parent organization of the James Watrous Gallery. Since 2004 thirty nine artists and seven arts professionals have been named as significant contributors to our state’s art life. Previous WVALAA ceremonies have taken place at the Museum of Wisconsin Art, formerly known as the West Bend Art Museum. This year’s awards ceremony in Madison’s Overture Center for the Arts accompanies Building a Visual Arts Legacy, an exhibition that brings together for the first time these diverse and important artists. Building a Visual Arts Legacy presents the work of artists from the 19th century as well as today’s mid and late career artists in various media who have been judged to have a lasting influence in years to come. Artists who have achieved national prominence as well as those who occupy a special niche in regard to style or content unique to the history of Wisconsin art have been chosen. Arts administrators are also honored for their role in promoting the arts and for being of service to artist and audience. The WVALAA nominating committee composed of fifteen arts professionals from around the state chooses these unique and creative individuals who have been deemed important to the visual arts culture of Wisconsin. A voting selection process by the same committee makes the final awards determination each year. This exhibition is a visual adventure in the guise of an art history lesson that explores connections between artists and their times as well as their relationship to art and life today. Building a Visual Arts Legacy reminds us of the creative vitality of artists who produced sophisticated work in the context of social and economic conditions that seem daunting to us today. We can also see continuity in our visual arts; background and source for art trends that preoccupy us today and traces of influence in the work of currently active artists. Past and present meet in this honoring of some of those who have been pioneers as well those who are making art history today.